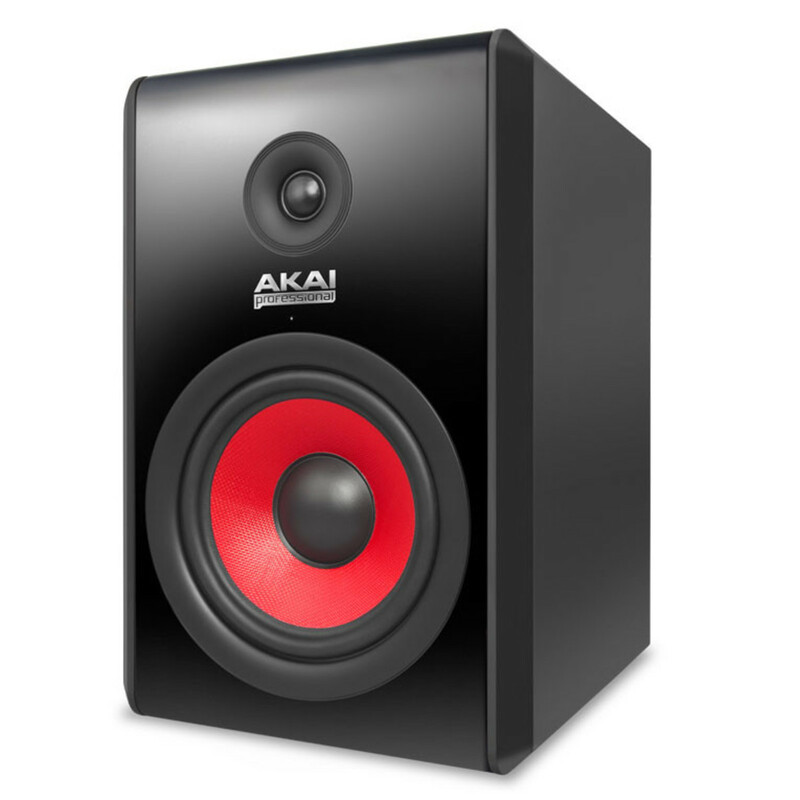 The Akai RPM 500 Active Studio Monitor is designed to offer highly detailed reproduction of even the most complex modern music, easily handling multiple layers of sound. Delivering pure and accurate frequency response from 50Hz to 30kHz, the RPM 500 provides efficient power with minimal distortion from a high quality, reinforced solid cabinet. 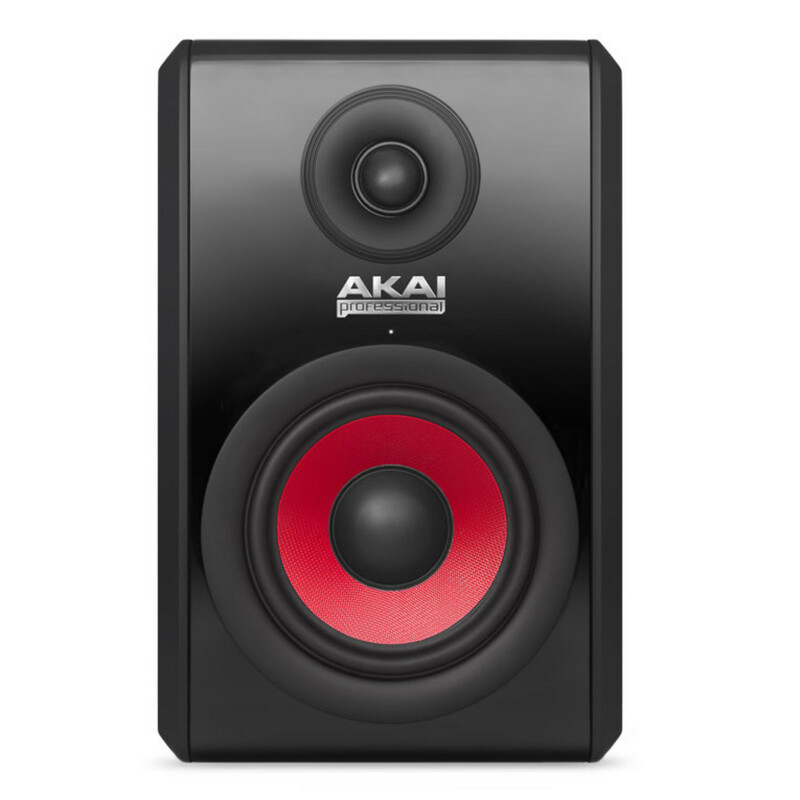 The Akai RPM 800 Active Studio Monitor is designed to offer highly detailed reproduction of even the most complex modern music, easily handling multiple layers of sound. Delivering pure and accurate frequency response from 38Hz to 30kHz, the RPM 800 provides efficient power with minimal distortion from a high quality, reinforced solid cabinet. 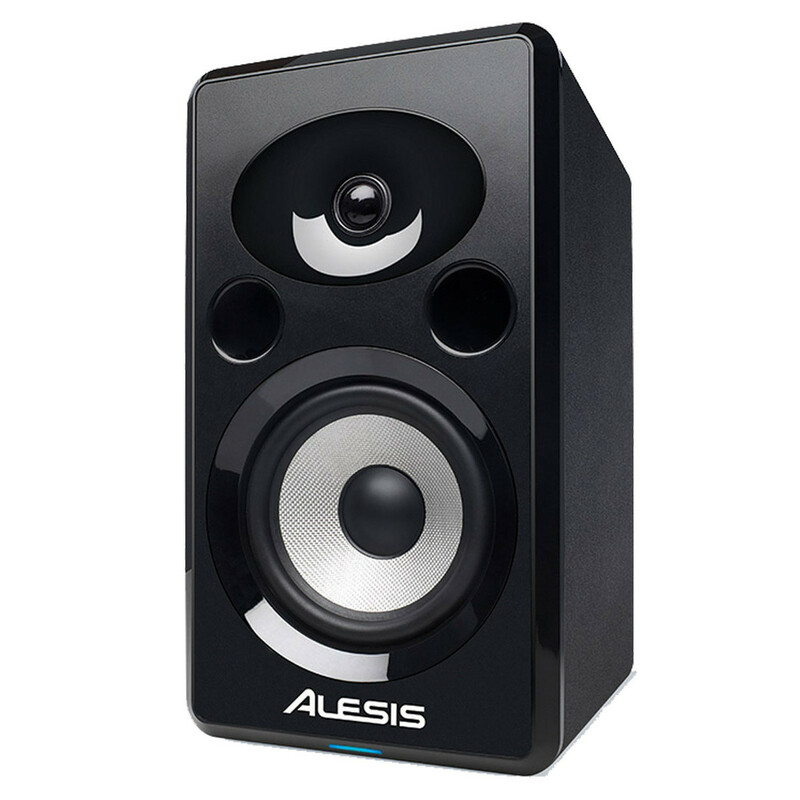 The Alesis Elevate 5S Studio Monitor is a premium 2-way studio monitor that features a 5.25” Kevlar woofer and a neodymium-powered 1” silk dome tweeter. The system-optimised bi-amplified design features an active crossover and provides both the HF and LF drivers with 50 watts each. 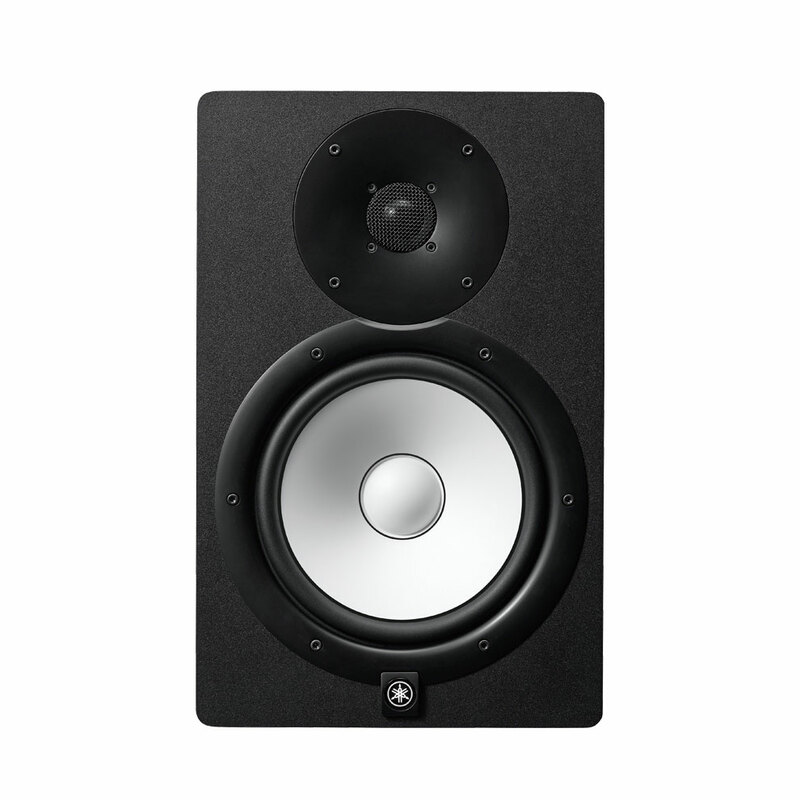 Accurately delivering deep bass responses and ultra-smooth high frequency responses, the Elevate 5S monitor is perfect for any recording and/or production scenario. 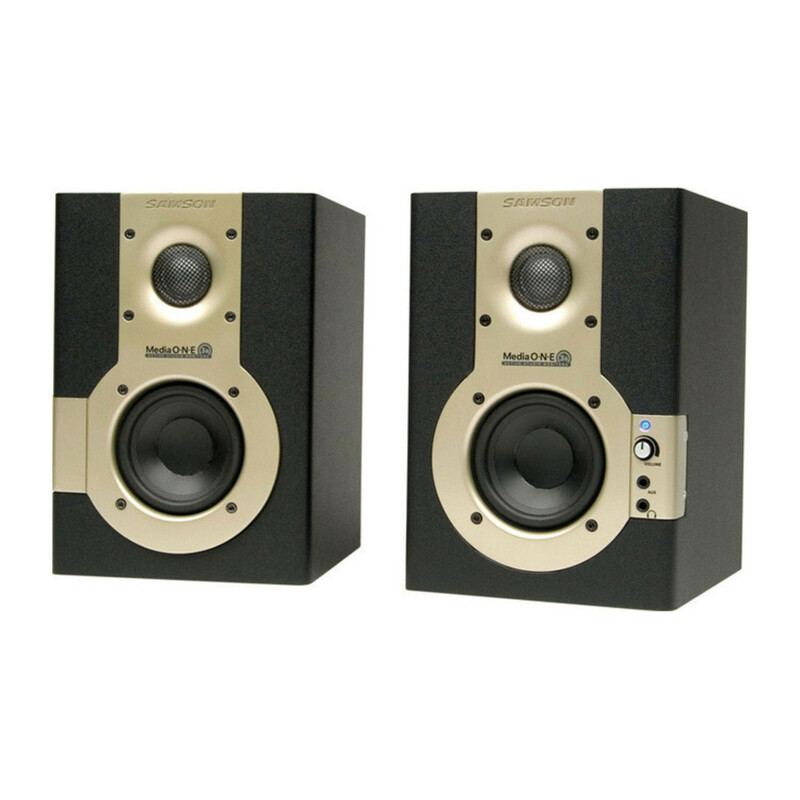 The Alesis Elevate 6 Premium Active Studio Monitor has a 6 inch woofers, radial edge baffle design for reduced distortion, high-density wood cabinets with bass porting and ERP compliant auto shut-off. 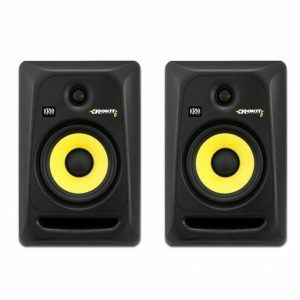 The Elevate 6 premium monitors are perfect for use in a studio, at home or as a second pair of reference monitors. 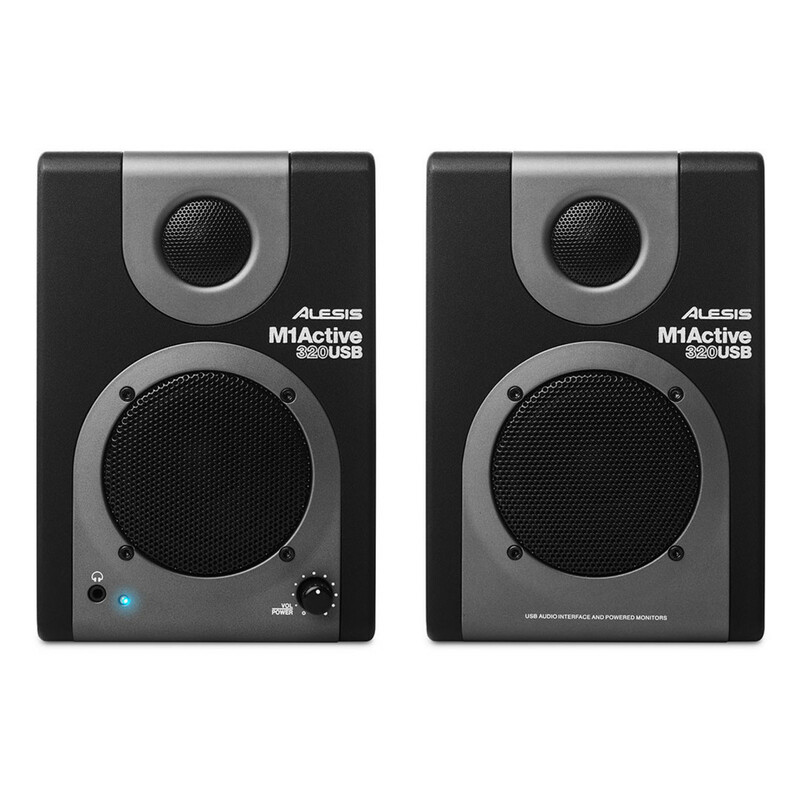 Alesis M1 Active 320 USB speakers are professional monitoring systems with a built-in audio interface. With RCA and 1/4″ Jack inputs you can connect a range of audio gear, the M1’s will transform the signal into 16 bit, 44.1/48 kHz audio that you can record into your favourite core-audio DAW. A built-in bass boost switch ensures that you hear those critical low frequencies no matter what room you’re working in. 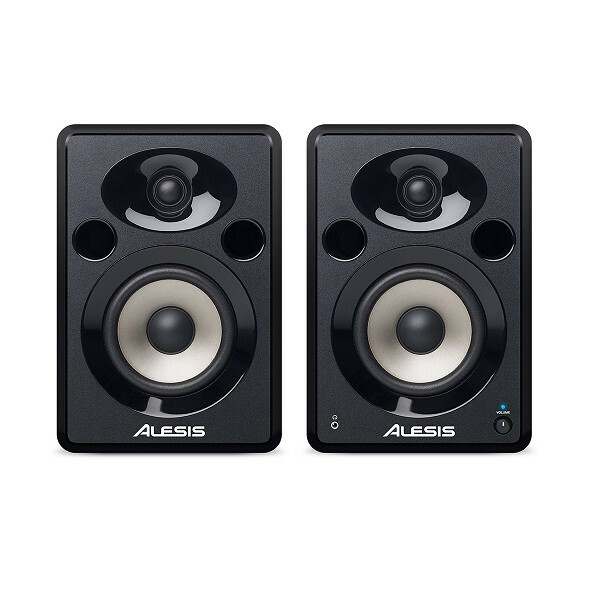 Alesis M1 320’s provide an all in one solution to recording and monitoring, with an affordable price, these monitors are ideal for monitoring, gaming, multimedia and using with a mobile device. 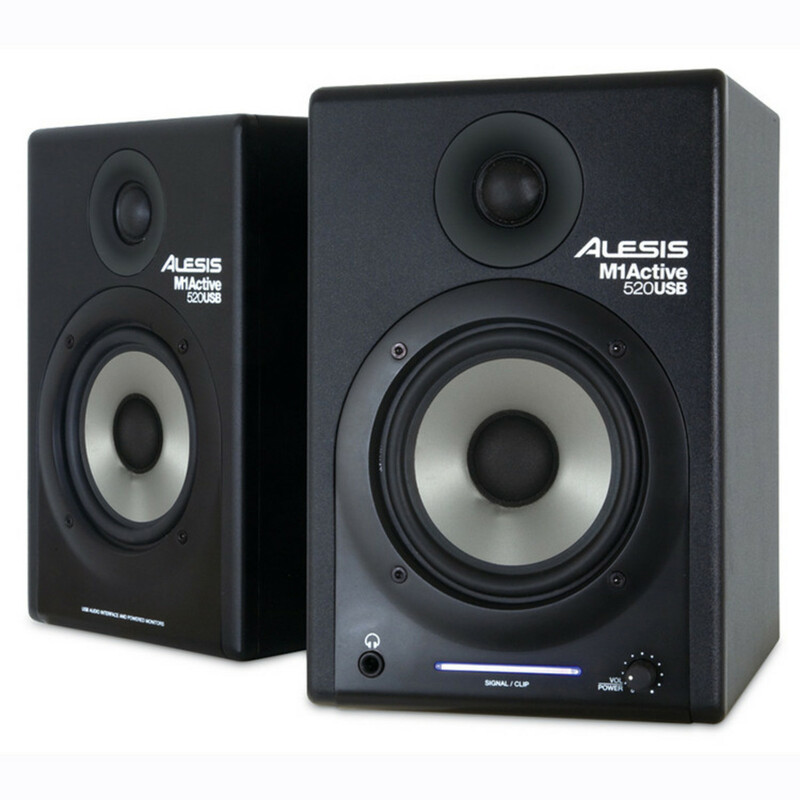 Alesis M1 Active 520 USB speakers are professional monitoring systems with a built-in audio interface. With RCA and 1/4″ Jack inputs you can connect a range of audio gear, the M1’s will transform the signal into 16 bit, 44.1/48 kHz audio that you can record into your favourite core-audio DAW. A built-in bass boost switch ensures that you hear those critical low frequencies no matter what room you’re working in. Alesis M1 520’s provide an all in one solution to recording and monitoring, with an affordable price, these monitors are ideal for monitoring, gaming, multimedia and using with a mobile device. 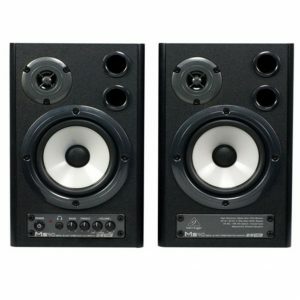 Whether you connect these speakers to your computer sound card, keyboard, or MP3 player, you will enjoy exceptional sound quality with great dynamics. The built-in amplifiers provide lots of headroom, while the powerful woofers and tweeters provide ultra-linear frequency response. Euphonycart presents PIONEER S DJ80X 8 Inch Active Reference Speaker.The S-DJ80X active reference speakers are designed for great audio feedback while practicing DJing skills. The speakers feature excellent sound quality, improved bass response and reliability, three types of inputs, and built-in equalization, useful for DJs who want to achieve the highest accuracy in sound reproduction. Each speaker is sold separately. 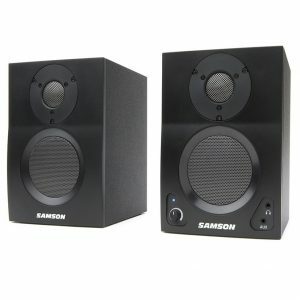 Samson’s MediaOne 3a Active Studio Monitors are the ideal speakers for all your multimedia needs. With high-quality components and an innovative design, MediaOne 3a produces amazing sound no matter the application. Whether you’re listening to music on iTunes or Spotify, watching videos via YouTube or Ustream, desktop/console gaming or recording, MediaOne 3a is the perfect choice. 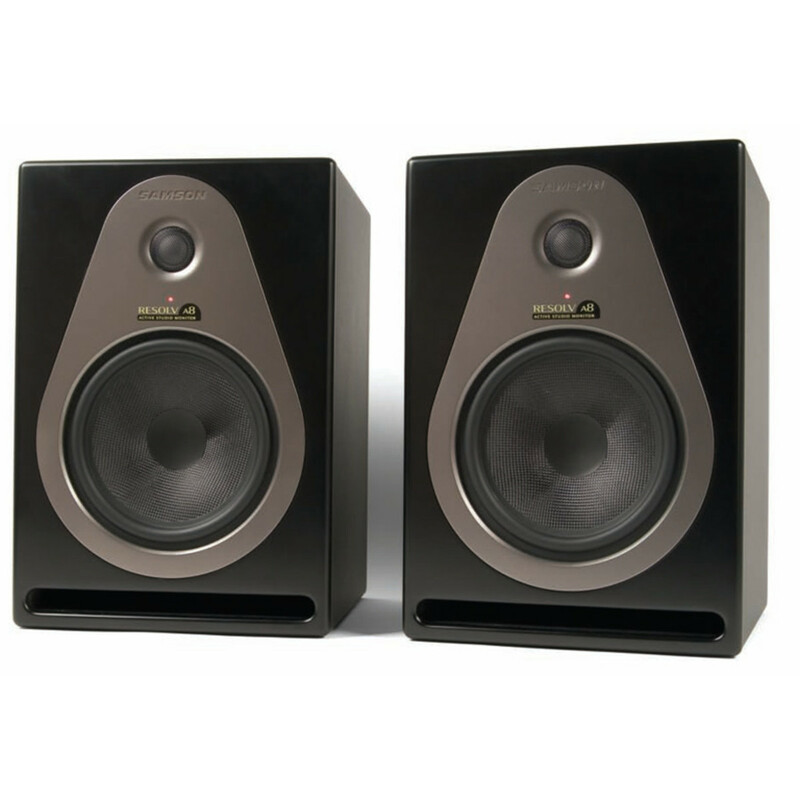 MediaOne BT3 monitors produce 15 watts per channel RMS and 30 watts per channel Peak of full-range audio. The 3” copolymer woofers deliver a controlled low frequency response, while the 1” silk dome tweeters give the high frequencies a natural sound without unwanted noise. Each rear-vented, precision-tuned port enclosure is finished in an all-black satin vinyl covering with matching metal grills for the woofers and tweeters, ensuring these monitors look as good as they sound. 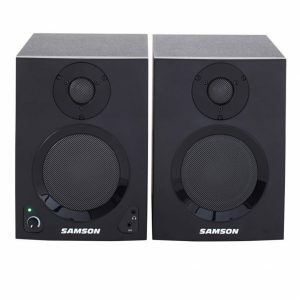 The Samson MediaOne BT4 Active Studio Monitors are designed for all your multimedia needs. Whether you’re into music, videos or gaming these 40 watt monitors will produce the high quality sound needed to complete the experience. With a complete redesign of our Resolv reference monitors, Samson has combined precise engineering and the highest-quality components with an elegant new cabinet design, providing extremely accurate monitoring for recording studio, post-production and other multimedia applications. 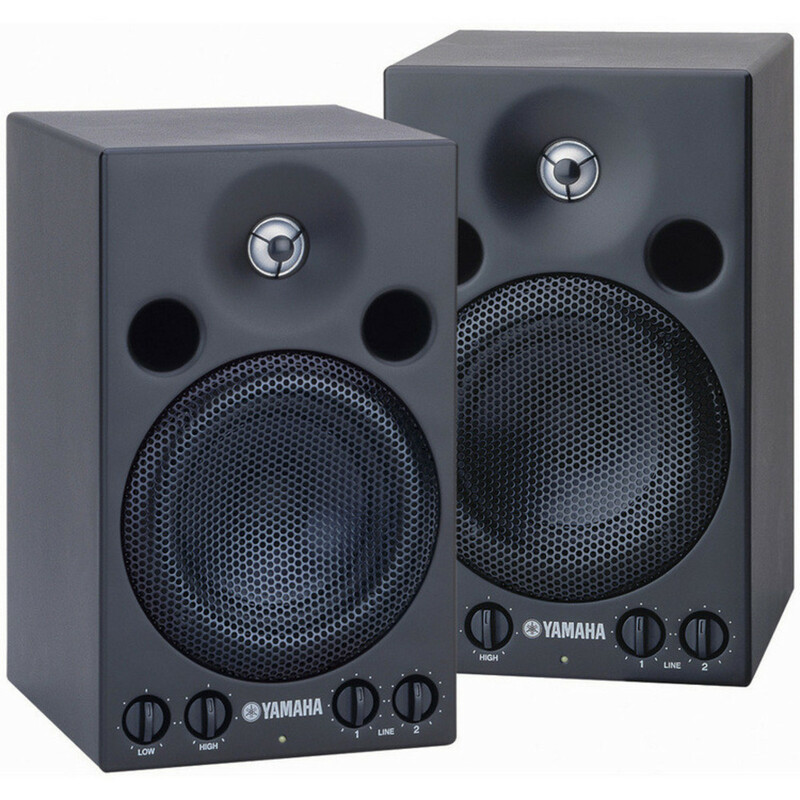 As the successor to the highly acclaimed Yamaha HS80 studio monitors, the HS8 features newly developed transducers with an advanced magnetic field design that regulates the flow of magnetic response for seamless, natural sonic transitions. The dome tweeter utilizes a thick wave guide to minimize vibration and deliver smooth, distortion-free high end while the ultra-responsive woofer produces low distortion sound with a well-defined bottom end. Yamaha MSP3 is Powered, bi-amplified nearfield studio monitor speaker system that delivers quality audio and excellent cost performance. It is one of the most desired Studio monitor system among sound engineers because of it’s excellent features and performance.